Hope you are faring well with the time of year that we are in. We are approaching the equinox of a seasonal change. For some this may mean Spring for others in regions outside of the East Coast of the United States it may be different. Regardless the message that is here with us now is one of forthcoming change. 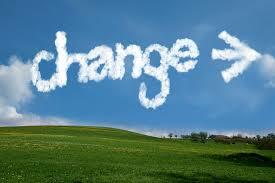 Change is the only constant in life, I have been told and read to this effect many times. Its one of the aspects of life we can count on the most; so my approach to support the onset of change is to take such time to give its rightful welcome in body, mind and spirit. How do I do this? Well I do so by taking time to be with my body, mind and spirit in creating a home for change. I seek what change may cultivate to improve myself in these three areas. Mind: Giving change its space to exist in the mind is one of the hardest ways to accept into ourselves. We like rhythm and systems by which we operate and make decisions. During seasons of change, we may find that our instinct is to follow the same patterns and methods we have used in hopes that change will follow. What we learn, is that whether the change that comes is welcomed or unwelcome our minds have the need to be supported with the opportunity to be with it. Change in the mind can be a friend when we allow whatever comes up for us to have its space. We can do this through meditation, self-actualization practices that allow our minds to be at rest, receptive and unbiased. When we prejudge, we prevent life from happening to us, we stop at life and change looses our sense of trust in its wisdom to support ourselves. Practice mindful exercises that focus on building tolerance, resilience and moving through rather than around what comes is helpful. In the midst of our healing stages, change often can be sporadic or dormant then sudden and spring. With such fluctuations, healing from our minds perspective needs to be met with knowing that such movement is normal. Resting and reassuring our minds with the above practices can support change to be. Spirit: Change for the spirit can be a swift welcome, a longing or sometimes works its way to replacing the good nature we have come to be in with troubling times and spiritual woes. Our spirit finds wings when we take the change that comes into our spirit by way of our body and mind in receptivity. We can cultivate our spiritual grounding process to support our body and mind. Spiritual grounding can come in many forms and practices; each carry their personal voice to our hearts and souls. When we take time, daily, weekly for spiritual grounding we stay connected to the life energy that flows within our body and mind in synergy. A daily ritual, journaling, painting, art, music can help support our spirit. Writing about change, drawing its form and function, how it resonates in and around you can bring your spirit into visual form for you. In seasons with change, creating a vision board with your goals, dreams and images that share in the likeness of your spirit can be healing practices. However change shows up for you patterning after the seasons and the new equinox approaches, allow it to have its space within your body, mind and spirit. You will find that as you cultivate practices into habits that support change co-existing with you, so to will you find the opportunities it brings with it. With this the health journey continues.